Go green with your promotional pen and leave a lasting impression on your earth-conscious potential clients with the Bamboo Design Twist Pen! 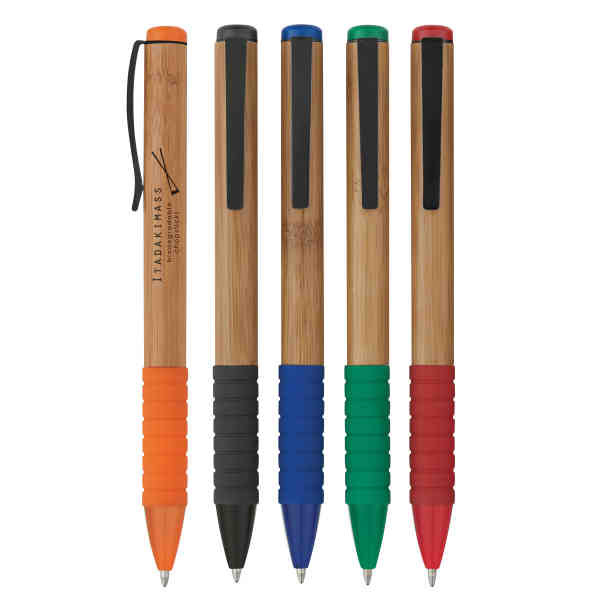 You'll have everyone's heads turning to see this bamboo pen with your company's laser engraved or silkscreened logo and message. It comes in several color options and measures 5 1/4". This is the perfect pen to celebrate Earth Day or when you sponsor a recycling event. Continue your green message throughout your promotional items! Imprint Size:1 3/4" x 5/8", 1 3/4" x 1/4"